First of all these following countries are the renowned capitals of fashion. New York, London, Milan and Paris are countries where fashion week have the best representative designers in the world of fashion. Why New York? Because it is the cosmopolitan city where fashionists love more. Probably Designers inspired by the movie stars, who have representatives as muses of fashion too. Certainly New York is an important part of the biggest names in world fashion journalist. They are Vogue, Elle, Harper’s Bazaar and Marie Claire. In this cosmopolitan city where culture, arts, movie stars, etc. belongs to fashionistas. They have two places in this country. Hence these places imparts quality knowledge to learn about the world of fashion in the most appropriate manner. Offering programs in fashion design, fashion studies and fashion marketing boasts graduates such as Tom Ford, Donna Karan, Marc Jacobs and Alexander Wang. 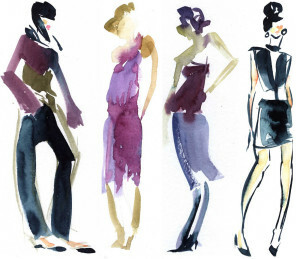 The Fashion Institutes offers programs in fashion design, business, marketing, illustrating and styling. It is established in 1944. Above all the school has 10,000 students overall and boasts Carolina Herrera, Calvin Klein and Michael Kors among its alumnus. Furthermore it also has a museum with curator of fashion historian Valerie Steele. London city, certainly considers the second best city for fashion students. In the last century London’s fashion industry has emerged as a leader. Rather than a follower as it was in the past Paris as a center of inspiration. Part of the University of the Arts London (UAL), offers programs in fashion, textile and jewelry design. The most remarkable students of this college are Alexander McQueen, Stella McCartney. Probably it is an another college within the University of the Arts London. It stands out for its wide range of fashion courses. Likewise this collage gives students the opportunity to gain placements and work experience at some of the world’s biggest fashion houses. It includes Prada, Louis Vuitton, Givenchy and Burberry. Italy long been known as one of Europe’s main trendsetters. Similarly historical political power in classical times as well as its cultural power in the Renaissance era. Cities such as Florence, Rome, Naples, Genoa and Venice have all been recognized as fashion centers. But Milan, with its minimalist fashion houses of the 1980s, has developed into the country’s ‘fashion capital’ – and joins New York, Paris and London as an international fashion capital as well. It splits across three campuses; its main campus is based in Milan and the other two are in London and Paris. The school, boasting the likes of Franco Moschino and Domenico Dolce as alumnus, reports a 90% placement rate after graduation. Was established in 1863 and is the largest school of architecture, design and engineering in Italy. It is with almost 40,000 students enrolled. The school offers an undergraduate program in fashion design and a master’s program in ‘Design for the Fashion System’. Paris has a long history of being the European fashion center. It continues to play a fundamental role in the city’s character and perceptions about its stylish. High living costs balances out by the French public university systems’. It includes low tuition fees, giving Paris the top spot in the QS Best Student Cities ranking. Though New York, London and Milan have all now established themselves as Paris’ equals when it comes to fashion design and journalism. For many prospective fashion students the French capital remains the center of the fashion world. Two of the top fashion schools in Paris explores here. 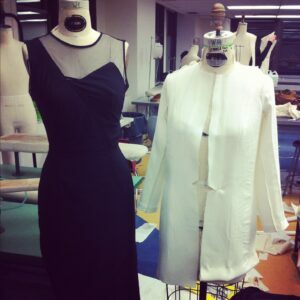 Offers courses on fashion design and technique World-renowned couture classes and baccalaureate programs. It offers the cheapest tuition fees among any of the top fashion schools featured in this list. It costs EU€10,450 (US$13,230) per year. But as well as being great value. It also offers the prestige of belonging to a school. It associates with the commissioning body in charge of determining what can categorize as ‘couture’. Among the school’s alumnus were Yves Saint Laurent and Valentino. An international fashion design and business school based in Paris. It has additional campuses in four other French cities and 21 schools in total worldwide. An alumnus of this school for example Nina Garcia. 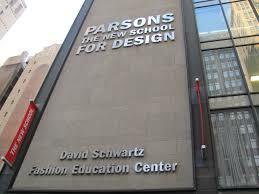 It is relevant that is the first and oldest French fashion design school. It was founded in 1841, and for having invented both the tape measure and the mannequin. Je admire le travails que vous fait, merci de votre partage.